It is the most wonderful time of the year! Slow your roll, I’m not talking Christmas. Let’s slow down a bit people, we still have the wonderful month of November to enjoy. For the beauty lovers out there, raises hand high, November means the launch of Sephora’s semi-annual VIB, Very Important Beauty Insider, sale. Insiders can expect to see 15-20% depending on your insider status. When you sign up for the Beauty Rewards with Sephora, you automatically gain Insider status. To achieve Very Important Beauty Insider status, you must spend $350 in a calendar year on merchandise purchased online, at Sephora stores, and Sephora inside JCPenny Stores. 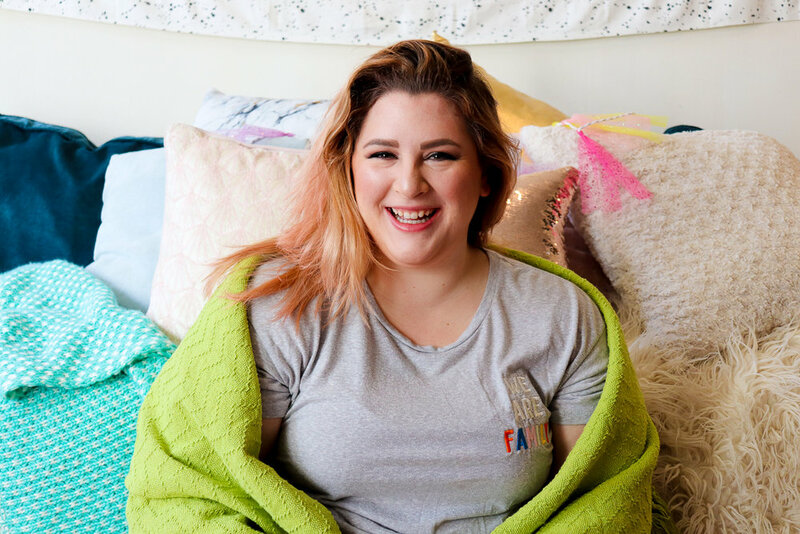 To achieve Very Important Beauty Insider Rouge status, you’ll have to pour $1,000 in a calendar year on merchandise purchased online, at Sephora stores, and Sephora inside JCPenney stores. However, this November, Sephora has begun to include the base Insider status within their VIB sale. So, for those of us who can’t afford to dump $350 or $1,000 into our beauty routine, we can still take advantage of this amazing sale that rarely comes around, and get 15% off all purchases until November 15th. I have had my eyes on these products for a few weeks now but I held out for the VIB sale knowing that I could get my hands on these babies for a rare 15% off. 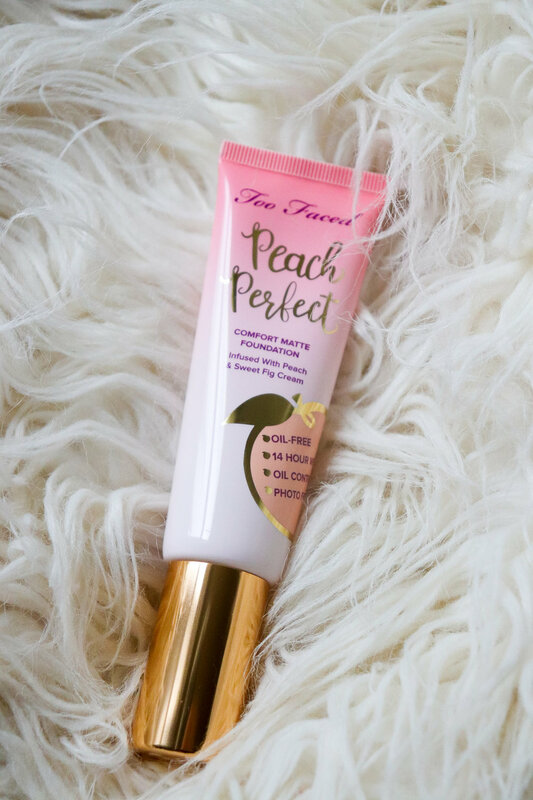 To start the party off, we have the Too Faced Peach Perfect Comfort Matte Foundation from their Peaches and Cream Collection for $36. Not only does this product smell heavenly, but the amount of product you get is a great steal; 1.23 oz. For reference, common foundations come in at lower ounce quantities; Estee Lauder Double Wear comes in at 1.0 oz, Fenty Beauty Pro Filt'r Soft Matte Longwear Foundation is 1.08 oz, and Huda Beauty’s #FauxFilter Foundation is 1.18 oz. It promises a 14-hour wear, transfer resistant, oil controlling, comfortable matte finish, and a flawless-looking complexion. I love matte foundations more than any finish so I was immediately drawn to this foundation. To set the foundation, I picked up the Too Faced Peach Perfect Mattifying Setting Powder for $32 also from the Peaches and Cream Collection. Again, delicious scent accompanies this powder. The reviews are glowing for this powder and I seem to always struggle with finding a powder that truly sets my foundation. This powder is sold with 1.23 ounces of product which claims to be a transfer-resistant, peach tinted-powder that works to visibly brighten skin while creating a silky-smooth, matte finish that lasts up to 14 hours. My hope is combining the foundation with the setting powder will result in a matte, long lasting, and flawless complexion which will be a great base for the rest of my makeup! The next product I grabbed was the last one in the Sephora location I visited! I was so happy to see the item on the shelf and I figured it was a sign that I needed it if it was the last one (justifying my purchase here). The Tarte Limited Edition Blush Bazaar Amazonian Clay Blush Palette, valued at $150, was a steal at just $44 for two highlighters and eight blushes. Each product in the palette is 0.084 oz. (a full-size Tarte blush is 0.2 oz and $29). I am so excited to branch out of my comfort zone and try some new blush colors with this array of options. This palette is the perfect gift for you or the makeup lover in your life; grab yours before it’s gone! The last item I purchased was a last-minute grab in that black hole that is the check-out line. I was already familiar with the Stila Written in the Stars Glitter & Glow Liquid Eye Shadow Set thanks to Alex from Learning to Be Fearless. She had featured the Diamond Dust eye shadow in a few of her looks and it was simply heavenly. Again, this was a bargain buy for three Liquid Eye Shadow minis, 0.07 oz each, for just $25 (a full size is a 0.15 oz for $24). I am so excited to see how these Liquid shadows look in a New Year’s Eve makeup look. These items were 15% off with my Insider status which is fantastic because Sephora rarely holds sales. Again, the sale only runs through November 15th, so run don’t walk to your nearest Sephora.